goals in a game still a record in 2013 season. 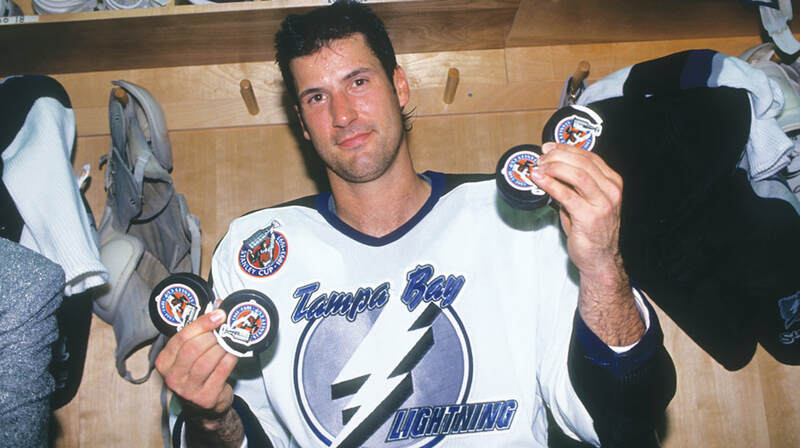 Chris Kontos scores 4 goals against Ed Belfour in Lightning debut. October 7, 1992. In their first game in franchise history, the Lightning record their first victory by defeating the Chicago Blackhawks 7 to 3. Chris Kontos scored the first goal in Tampa Bay history and scored a total of four goals in the game.